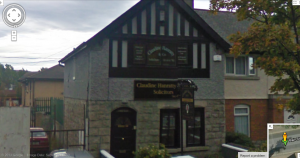 Claudine Hanratty Solicitors are a long established firm of General Practice Solicitors operating from Tallaght Village, Dublin 24. Claudine Hanratty Solicitors is a professional and highly experienced law firm who are committed to servicing our Client’s needs and working with them to achieve the results they expect. We pride ourselves on providing a professional yet friendly atmosphere for our Clients to discuss all of their legal concerns in comfort and privacy. We are highly specialised in a number of areas, including Personal Injury Law, Family Law and the buying and selling of property. Whether you are seeking compensation for an accident or simply buying or selling a house call 01 4141782 or email us at legal@hanratty.ie for a consultation quote today. Send us a quick enquiry and our specialist will contact you for a consultation.